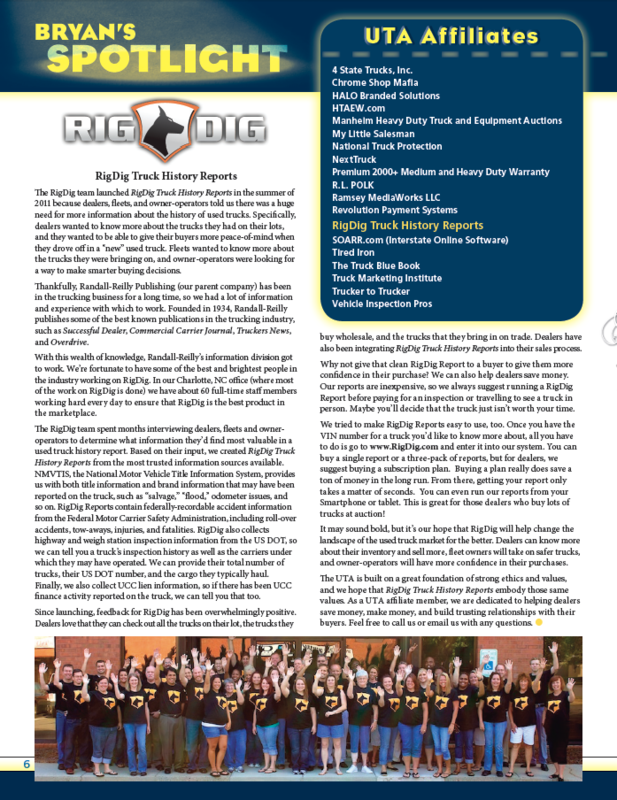 RigDig Truck History Reports were featured in the July 2012 UTA Newsletter. Click here to read the section from Bryan’s Spotlight. RigDig is a proud UTA affiliate member! We look forward to working with your dealership to help you avoid inventory mistakes and to help you sell more trucks by giving your customers that extra peace-of-mind that a RigDig Truck History Report provides.